Preventing Workplace Violence in the Kingdom! | don't bite the apple…work is not a fairy tale! ← Can the Queen go on Vacation? Preventing Workplace Violence in the Kingdom! The Queen took the prince and his friends to the midnight screening of Batman last week. Never knowing what was happening on the other side of the country. It was horrible and tragic. A week later there is debate of who should have known and stopped a mad man from such a horrific act. When violence happens, the reporters come out and everyone says the same thing, “I never would have guessed or they seemed like a normal family or employee”. Who can imagine such violence? Let alone predict it! The phrase “going postal” comes from an angry employee coming back to exact revenge at work. After reading the news this week I wondered, if he worked for me, would I have known? There has been discussion that “someone” should be notified if a person is under care for mental illness. Have you been to a doctor lately? All those forms you sign about your privacy. They are prohibited from notifying anyone. And what would qualify as reason for notification and who should have a right to get that information? Here in HR we certainly can’t ask about your health issues. We could then make judgments that we aren’t qualified to make about your employment based on that information. Rights to privacy are a good thing, but they are really muddy after a tragedy. So what do you do to try to keep your Kingdom safe? Be alert to situations that could potentially lead to violence. Some examples are employees that have been fired or in fear of being laid off, failed to receive a promotion or raise or someone who has a hostile relationship with another employee. Pay attention to your employees and watch for signs in individuals. An employee prone to violence may intimidate others, believes others are out to get them, holds grudges, is rigid and inflexible, and may suffer from extreme stress. They may talk about violent crime or weapons and may even have a history of violence. We also need to reduce the potential by having security rules. Do you have a plan for locking doors and limiting visitors (including terminated employees)? Make sure there is a reporting system for threats of violence or retaliation. Be aware of changes in your employees or co-workers. If someone’s problems are getting worse or they are showing changes in behavior. Be aware of workers’ personal situations that could bring violence to the work place. Make sure employees are comfortable reporting abusive spouses or divorces etc. Have another person present when you have to fire or give a warning to employees in high stress situations. Collect keys, passes, ID’s and allow employees to collect all personal materials from discharged employees before they leave. Change door codes or locks if employees fail to turn over entry materials. Most important, make sure employees know where to go to report concerns and have a standard policy of what you will do with that information. This week the world seems a little more frightening. Our hearts go out to all the victims and their families of this tragedy. It hits especially close as we lost a soldier from our community. We should feel safe going to the places we visit each day, work is a constant. Try to pay attention to your Kingdom, make it a place of production, calm and safety. Whistle while you work! Be safe! 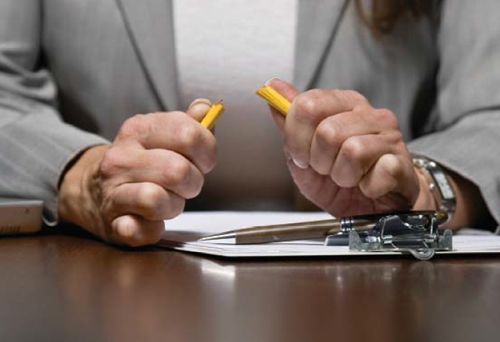 Do you have a workplace violence prevention policy? This entry was posted in Policies and tagged employees, human resources, management, violence, work place violence. Bookmark the permalink.